If the Colorado start-up world can occasionally feel a bit small, the Boulder world can feel downright tiny. Having worked with Colorado start-ups and officed on Pearl Street for over 15 years, I am intimately familiar with the phenomenon of the “Boulder Bubble.” Which is one of the reasons that Turnpikers is such a welcome addition to the local tech scene. 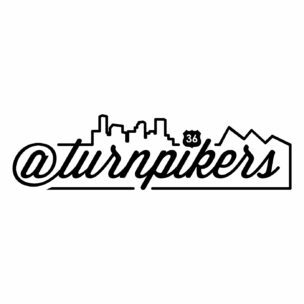 Hosted by two Colorado entrepreneurs, Luke Beatty and Danny Newman, Turnpikers features a weekly conversation with different people from across the Boulder/Denver tech scene. In their first two months the guests have ranged from start-up CEOs, to technology leaders within large organizations such as Under Armour and The Denver Broncos. Very cool stuff. This week, I’m honored to be on the podcast discussing venture capital trends and my own investing strategy (you can listen here). Thanks again to Luke and Danny for giving us a wider view into what’s going on at both ends of the turnpike. If you haven’t been listening, check it out. © 2019 Blue Note Ventures. All rights reserved.